Start ringo with the -d option to start the graphical debugger. The debugger will break at the beginning of the main script. Set your breakpoints and click on the Go button to start running. In the left tree view the debugger shows the currently loaded scripts and resources. 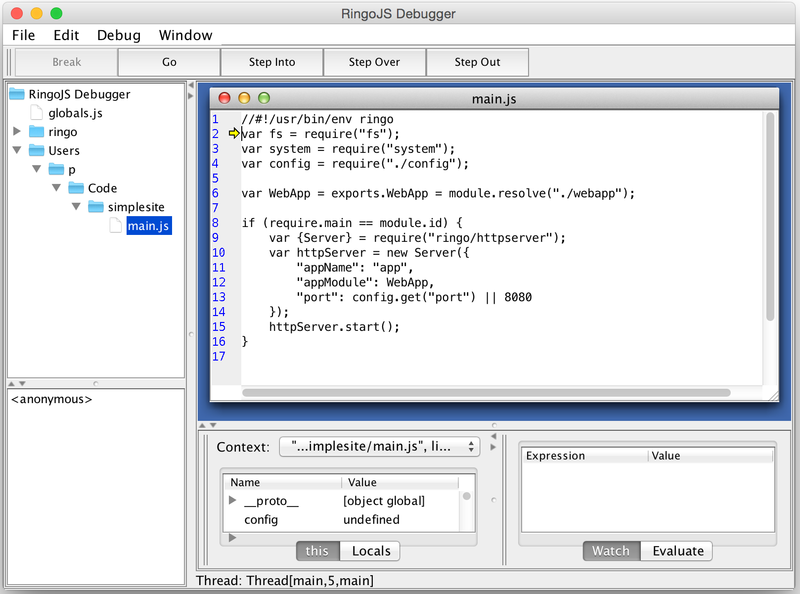 More info about the debugger can be found on the Rhino wiki debugger page.